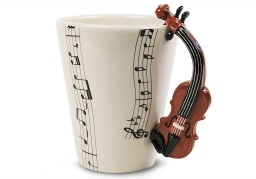 Refreshments will be served in the Gathering Space promptly at 10:00 am, and the concert will begin at 11:00 am sharp in the Great Hall. 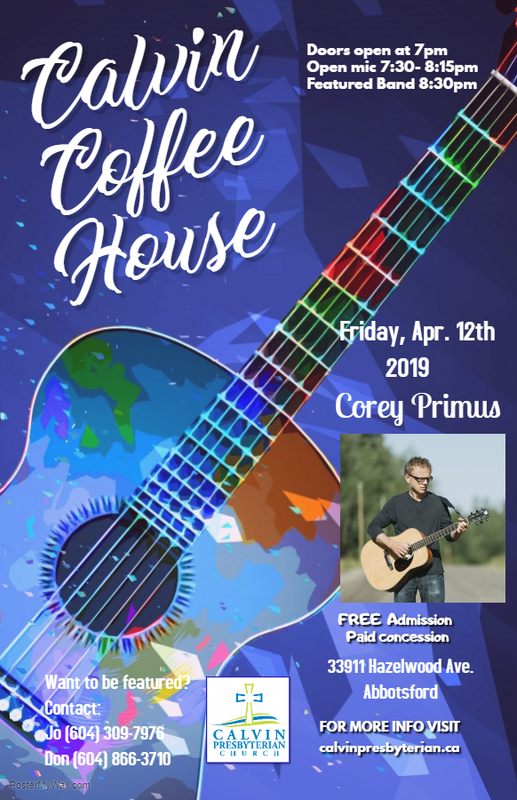 On Friday, April 12th, Calvin Church will be hosting the next Calvin Coffeehouse Concert. The feature artist this month is Singer / Songwriter, Corey Primus. 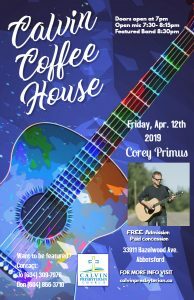 Doors open at 7:00 pm in the Gathering Space with an open mic at 7:30 pm, and Corey Primus will be performing at 8:30 pm. The 30th Annual City Prayer Breakfast, presented by MEI Schools, will take place on Wednesday, April 10th from 7:00am-9:30am, at Quality Hotel & Conference Centre, 36035 North Parallel Road, Abbotsford. 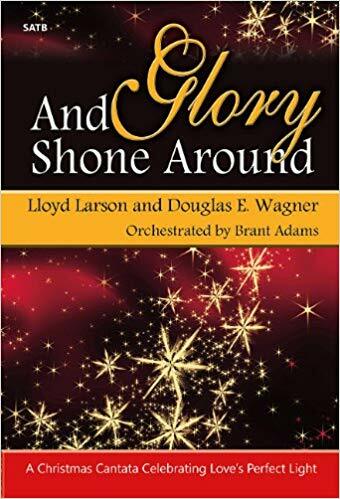 The theme this year is GIVE THANKS WITH A GRATEFUL HEART, and will provide an opportunity for the community to come together in prayer for the Mayor and Council, First Responders, School Board Trustees, and Independent Schools. The guest speaker will be Tom Watson. Music will be provided by Calvin Dyck. Please purchase your tickets at House of James or Eventbrite.ca. 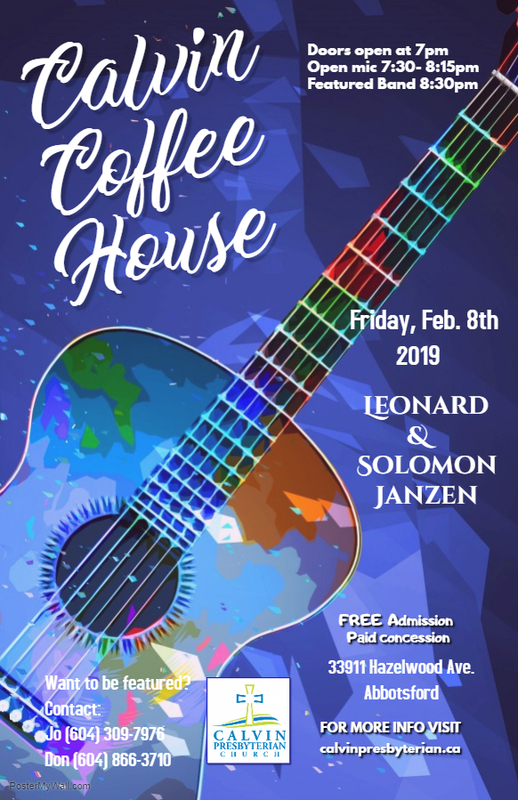 On Friday, February 8th, Calvin Church will be hosting the next Calvin Coffee House. 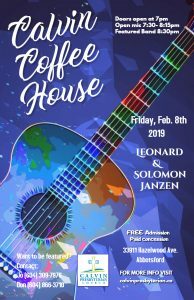 Feature artists this month are Leonard and Solomon Janzen performing a variety of classic rock, blues, and funk music in a singer-songwriter style. Doors open at 7:00pm in the Gathering Space, with an open mic at 7:30pm. 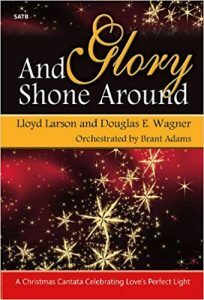 Leonard and Solomon Janzen will be performing at 8:30pm. 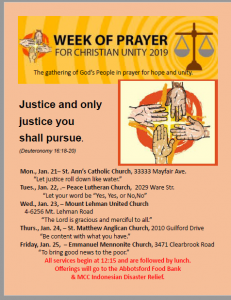 The Week of Prayer for Christian Unity 2019 will take place at various churches in Abbotsford from Monday, January 21st to Friday, January 25th, 2019. 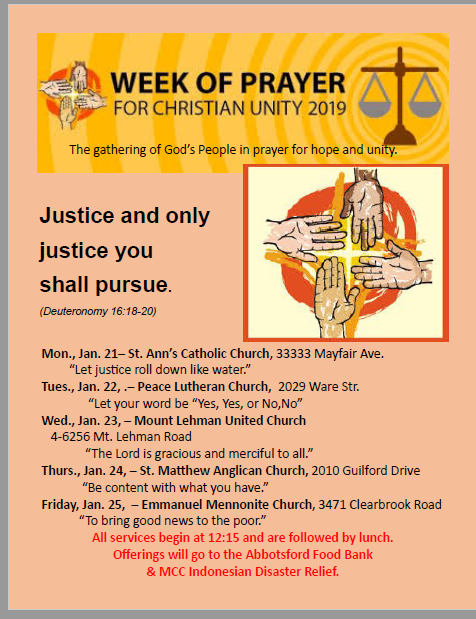 For more details, please see the poster on the bulletin board in the Gathering Space, or call Janet in the church office at (604) 859-6902. Thank you. The church office will be closed for the holidays from December 24th – January 1st. It will reopen on Wednesday, January 2nd, 2019. 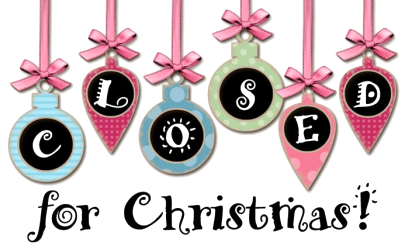 The next fellowship meeting will take place on Saturday, December 1st at 8:00 a.m. at the Roseland Restaurant, 12-33550 S. Fraser Way, Abbotsford. The guest speaker will be Dan Boot, and his topic will be “Habiterra Building Solutions”. Please join us.